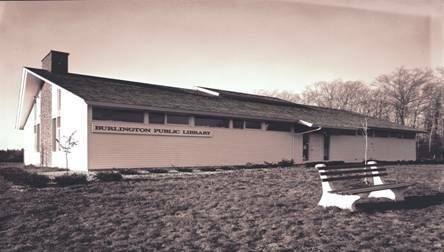 In 1994 on a warm Sunday afternoon, the Town of Burlington celebrated the dedication and opening of their newly renovated and expanded public library. On October 18th, 2009, the Friends of the Library are sponsoring an Open House to celebrate the 15th year of library services in that new facility. Prior to 1994, the library was housed in a smaller building at the same location. It was built by a group of private citizens who were interested in the welfare and future of library service in Burlington. They formed the Burlington Library Association, Inc. with the sole purpose of funding and overseeing the construction of a new library. In October 1969, they held the grand opening of a 3120 square foot facility on a rear lot near the Congregational Church on Route 4. The town continued to fund the operation of the library, while the Burlington Library Association continued to maintain and improve the building until May 1, 1991. At that time the Association presented the building and property to the Town of Burlington. Town ownership made feasible the use of a large bequest for the library made in 1984 by Burlington resident Arthur G. Main. A needs assessment had already determined that the library was rapidly becoming unsuitable to meet the needs of the growing community and the transfer of the property and building made it possible for the town to forge ahead with plans for a new and improved library. Support for the project at the 1993 annual town meeting was extremely encouraging. The building committee had already applied for and received a State construction grant and the Burlington Library Association, Inc., now functioning as the “Friends of the Library”, pledged to raise $200,000. 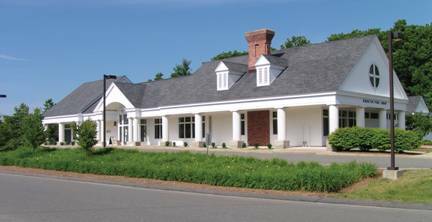 Having received town approval, the building committee, First Selectman Theodore Scheidel, Jr., and architect Dale Cutler broke ground in November, 1993. Fifteen years have passed and the library still evokes much pride. Many programs and services are offered for residents of all ages. Library cards are free to any Burlington resident and a Burlington card can be used in any public library in the State of CT. The public is invited to stop by the library between 1 and 5 pm on October 18 to join in the afternoon activities. 1 pm to 5 pm -- Ongoing activities, refreshments, a photo exhibit illustrating the past 15 years, award-winning quilt exhibit by resident Chris Taricani, viewing a DVD showing the construction and dedication ceremony of the building in 1994.